What is the origin of the Brussels Griffon? 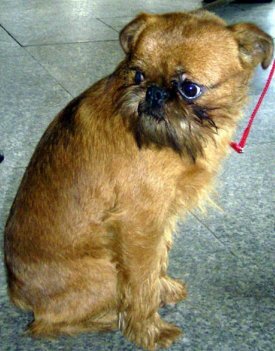 The Brussels Griffon, the Griffon Brabancon and the Belgian Griffon were probably bred with crossings of the Pug, terriers and toy spaniels and have personalities to match. By the early 1900s, the Brussels Griffon had established itself as a popular breed in Belgium. Differences in the 3 types of Griffon are coat type and color. What does the Brussels Griffon look like? The Brussels Griffon is a squarish shape, about 9-11 inces tall and weighs 8-10 lbs. The head is round with a pronounced stop. Eyes are very large. The jaw is undershot and nose is short. The docked tail is carried high. The rough-coated Griffon has a wiry, dense coat. 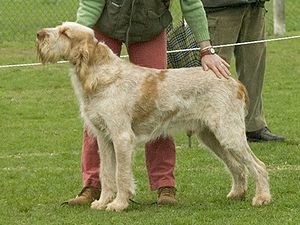 The smooth-coated Griffon has short, straight, soft hair. 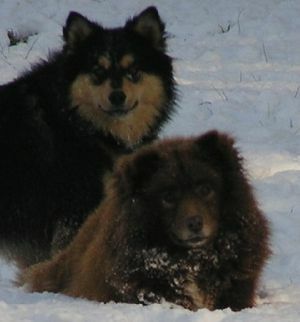 Colors are red, reddish brown and black, black and tan or black. The rough coat should be brushed 2-3 time a week and stripped about every 3 months. The smooth coat needs weekly brushing. What is the temperament of the Brussels Griffon? 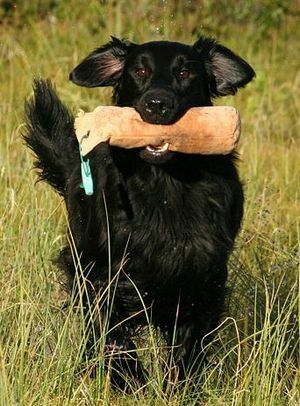 The Griffon is an active, playful little dog, very people-oriented. It may be a bit difficult to housebreak, but be patient. Griffons need a fenced-in backyard or they will wander off. Though small-sized, they need obedience training with a firm but gentle hand. They want to be close to their humans and an apartment suits them fine. They are good with older children who treat them gently. They usually get along with other pets. As with all dogs, they need a daily walk. What is the Brussels Griffon used for? Originally the Brussels Griffon was bred to hunt vermin. These days it shines as a companion dog. Patellar luxation, hip dysplasia, progressive retinal atrophy, cataracts, syringomyelia (neurological condition).